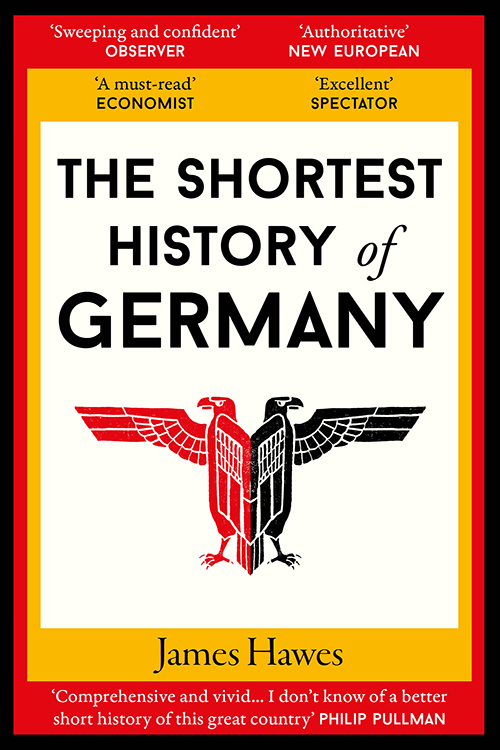 In his acclaimed new bestseller, James Hawes tells the story of Europe’s most admired and feared country, from Julius Caesar to Angela Merkel. With more than 100 maps and images, it is a fresh, concise and entertaining attempt to answer the question: are the Germans really us, or them? James Hawes studied German at Hertford College, Oxford and UCL, then held lectureships in German at the universities of Maynooth, Sheffield and Swansea. He has published six novels with Jonathan Cape. Speak for England (2005) predicted Brexit; it has been adapted for the screen by Andrew Davies, though not yet filmed. His last book, Englanders and Huns, was shortlisted for the Political Books of the Year Awards in 2015. He leads the MA in Creative Writing at Oxford Brookes University.